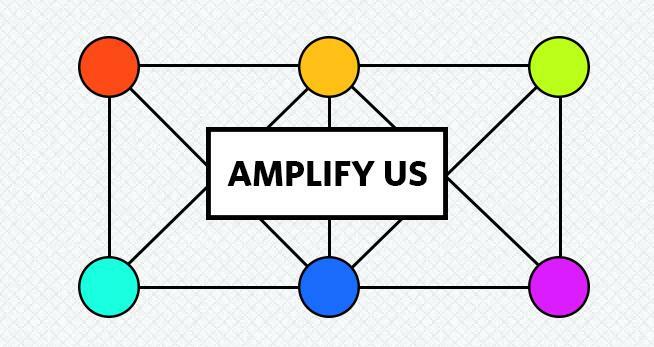 Amplify Us. Image courtesy the artists. Amplify Us is a site-specific installation that senses and visualizes the social dynamics of people in the lobby of the Orchestra Hall. Groups interact with sensor nodes attached to structural columns. Their coordinated actions orchestrate layers of ambient sound and light that amplify the social energy in the space. Created by artists within Intel Labs’ Open Design group and Perceptual Computing groups, the installation utilizes open hardware to augment the ambience of the lobby and allow it to be configured by the collective actions of its participants. Amplify Us is designed to encourage connections between people by creating a playful dialog between participants that is reflected in the architecture of the building. The Eyeo Festival and Minnesota Orchestra with additional support by Intel.